After seeing that stencil graffiti kitty throughout my neighborhood, I’ve been wondering when I was gonna run into an Invader. Was street art still alive and well and living in France? Invader, aka Space Invader, practically invented the contemporary genre of street art, along with Banksy and Shepard Fairey, and we even have him to thank for Thierry Guerra, aka Mr. Brainwash, the protagonist of Exit Through The Gift Shop! Hailing from France, he’s been “invading” cities across the globe for over a decade with his ubiquitous 8-bit mosaics inspired by the Atari video game classic Space Invaders. Your sorta not doing Paris right these days until you run across his work. 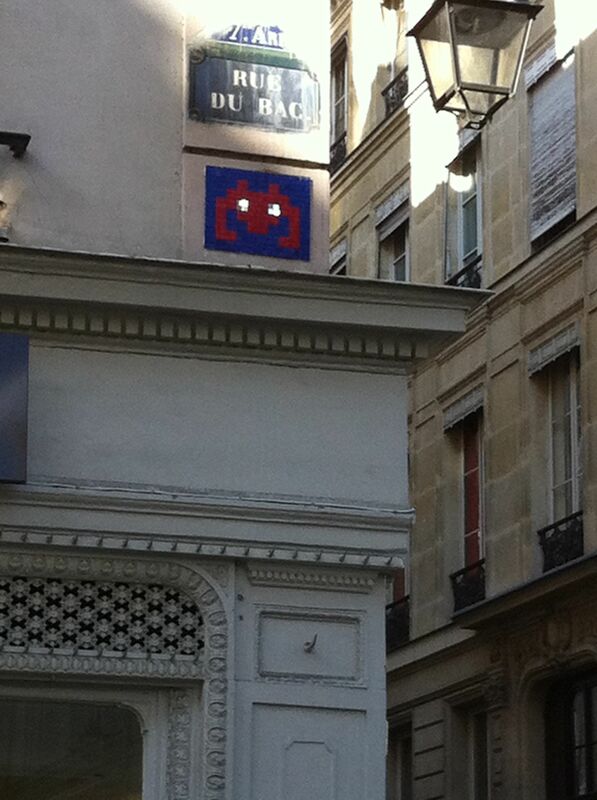 It was not until I was in the cab with Jeff Mirek on the way to the airport for his flight back to NYC (cue sadtrombone.com) that I finally spotted it, on Rue de Beaune, where I LIVE, one block from the Seine, my very own Invader (pictured above)! Then I saw another, just two blocks away, on the corner of Rue de Bac and Rue de Verneil. My ‘hood was crawling with Invaders! 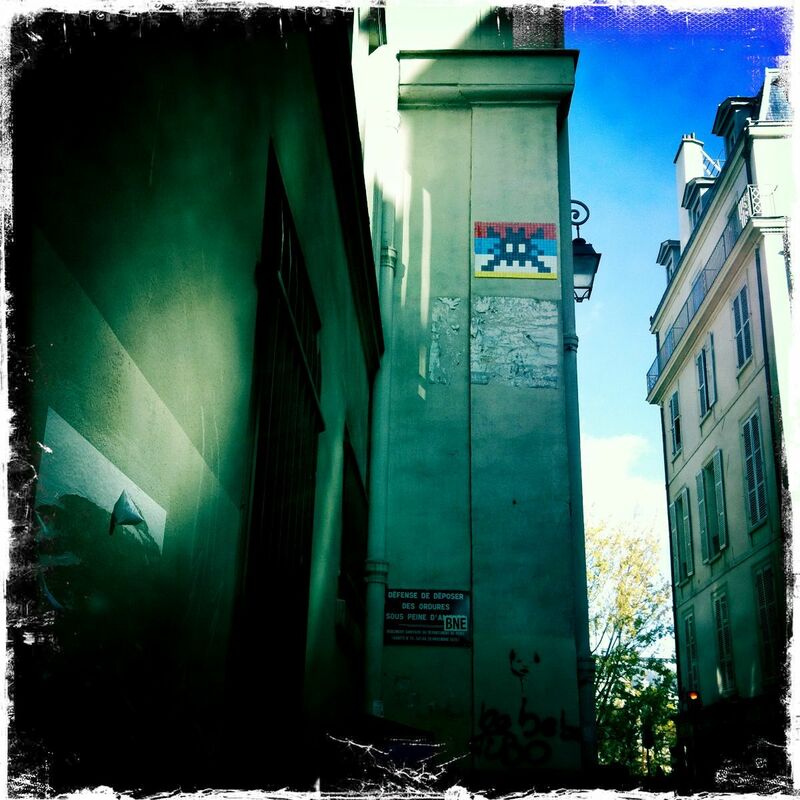 Turns out he’s currently in the midst of a new Paris invasion – check ’em out and see if you can find mine! I am bored today! The first is 22 down from the far right corner, second one 23 down from top left. Now I want to play space invaders!